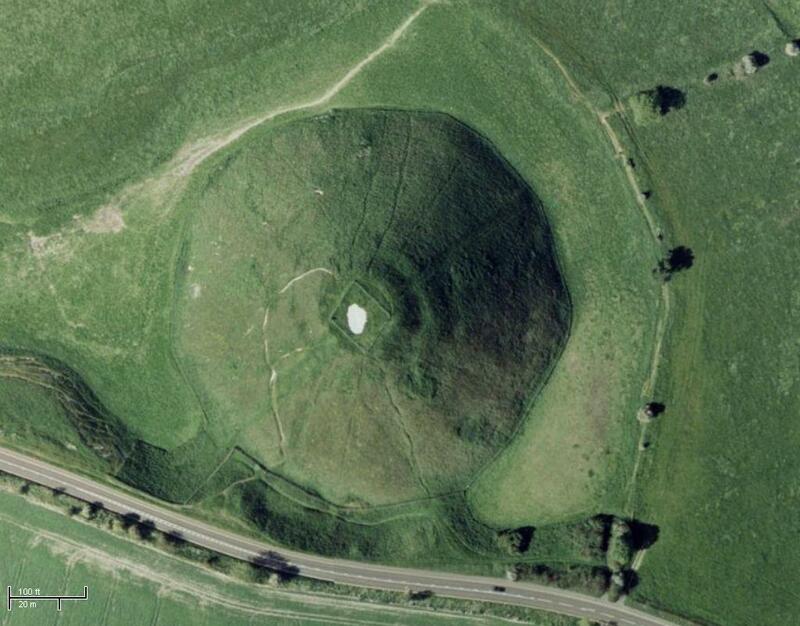 An aerial view of Silbury Hill with the top face of the photograph indicating north. Copyright: Google Maps. 1024x768.